Kathy Jordan is a registered dietitian, author, fitness trainer, eating behavior coach. Her book Below the Surface…Weight Loss Transformation by kj distills over two decades of experience teaching fitness and weight loss strategies. “kj has helped me understand how a few small changes can make a big difference in managing my weight. Thanks to her support and insights, I have lost weight, developed better eating habits and am learning to be conscious about what foods I eat each day,” says J.S., who enlisted Jordan’s coaching services to lose weight and continues her progress, aided by the book. 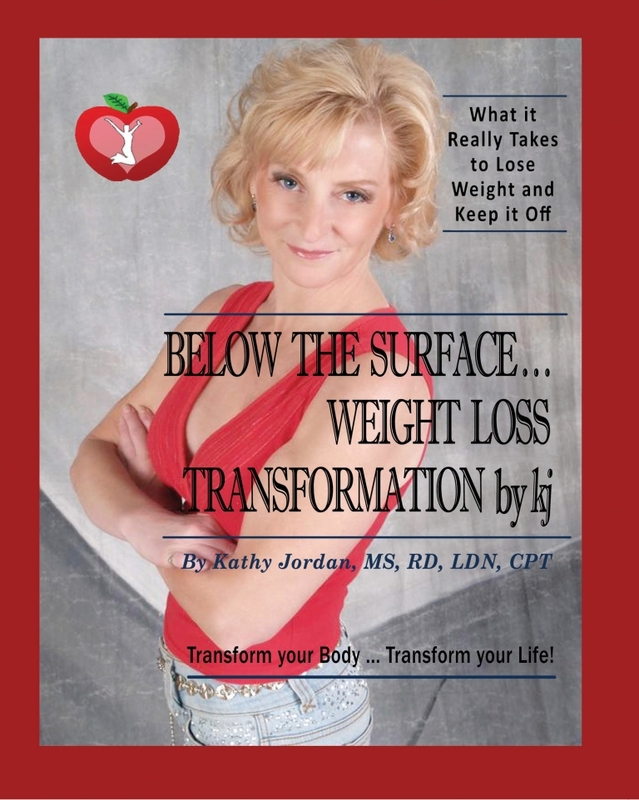 Below the Surface…Weight Loss Transformation by kj is available online at Amazon, Barnes & Noble, and contact kj to schedule book signings, workshops, and speaking engagements at your corporation, association, community group or health club.